Revisiting these characters was like a big, warm hug. I love the care with which Julie Bozza writes David and Nicholas. She’s very deliberate in the ways she progresses their story, their relationship, their interactions and as someone who’s taken this journey with them through the series, I appreciate it so much. If you’re looking for a story about misunderstandings, miscommunications, arguing, etc, you just won’t get that with this series. What you will get is two men greatly in love with each other and commited to each other’s happiness. It’s simply put…lovely. In this the final book fo the series (I think? ), Bozza continues to take us along, seven years after their marriage, as David and Nicholas continue to fall deeper in love with each other. *sigh*. Again, I couldn’t read it without feeling warmth and comfort. I love these two as they love each other. And in this book, we get more of the watering hole and the Dreamtime location in the Australian Outback…and this will always be near and dear to my heart since book 1, Butterfly Hunter, introduced us to this magical place. Now, with all the gushing having been shared, I do have a few things about the book itself that niggled at me. While I do appreciate the introduction of an asexual character in the story, there was something about the way it was told that felt a bit…”educational”…like purposefully placed so that the reader could be enlightened about asexuality, rather than a natural part of the character’s story arc. I had a hard time embracing this character because of this. And though I knew it was coming, the story that took us to Nicholas and David really having to face Nicholas’ brain tumor…well, it was emotional and scary, but it didn’t entirely feel developed. And if there was one simple annoyance that I couldn’t quite shake, it was that I don’t think David really would ever have left Nicholas in the hospital while he went to take care of the business at the watering hole. Knowing David as we’ve come to, that could have and would have and should have waited…in my humble opinion. Despite these things, the story was satisfying and I will never completely complain over a book that has anything to do with Nicholas and David. I love them so. If you haven’t read book 1, The Butterfly Hunter, yet. I highly recommend it. It’s quiet and lovely and told in such a kind, gentle way. The entire series as a whole is worth the time and effort. Bought this the other day as I did really enjoy the first two books – such a great title too ! 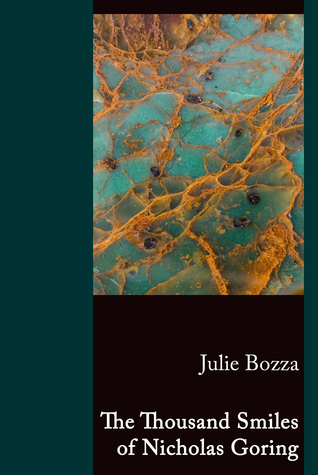 This entry was posted on November 13, 2014 by BioB in Contemporary, Reviewer: Susan and tagged 3.5 Stars, butterfly hunter, julie bozza, Manifold Press.